Do you have a passion for birds and the environment? Are you interested in conservation and in particular bird watching? We're a group of birdwatchers from Marple, Glossop, Disley, Hazel Grove and the Goyt Valley area who get together for regular outings and for indoor meetings. Our field trips take us to some of the best parts of the Northwest and the meetings always attract interesting and challenging speakers. 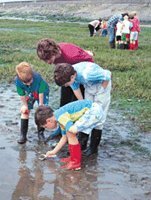 The group is active in local conservation, as well as taking the RSPB to schools and fairs and fundraising for local, national and international bird projects. About once a month, and usually on a Sunday, we head off to one of many bird watching sites locally and elsewhere in the northwest. Some recent trips include Padley Gorge and Leighton Moss. Over the next few months we're planning to visit north Wales and the Solway. During spring and early summer, we also get together for evening walks closer to home - places like Etherow Park, the Roman Lakes and Higher Disley. And throughout the rest of the year, members meet on Tuesdays and Thursdays for birdwatching walks. We also organise weekend breaks and overseas holidays all with the aim of enjoying birdwatching. Our indoor meetings are held on the 3rd Monday of each month (September to May). In the Marple Senior Citizen's Hall, Memorial Park, Marple. In 2006 we've "visited Madagascar", seen the mechanics of bird flight and explored the legend of the swan. The meetings start at 7:30pm and entry is free for High Peak members, £1.50 for non-members. The High Peak RSPB group is also involved in conservation - setting up nest boxes and feeding stations in Etherow Park, Lyme Park and other local wildlife sites. We also help out with working parties at our local RSPB Nature Reserve at Coombes Valley near Leek. We have a team of volunteers who visit local schools where we give talks and get the children involved in local wildlife activities. 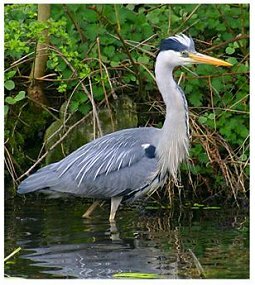 You don't have to be a member to come along to our outings or meetings and you certainly don't have to be an expert birdwatcher. Simply have an interest in birds and the outdoors. If you would like more information about the RSPB High Peak please contact our Group Leader, Richard Stephenson on 0161 427 4187, or our Membership Secretary, Lynda Allsobrook 0161 612 1302.